The Vatican is taking a modern approach to one of its oldest traditions, by offering indulgences to Twitter followers of the Pontifex's social media account. Under Catholic belief, after confessing and being absolved of sin, the indulgences granted reduce the amount of time one spends in purgatory, where one's sins are weighed after death. Under the Pope's new offer, those who follow the week's events on the Twitter feed can get a speedier transit through purgatory, hopefully on the way to heaven. "The notion of indulgence is that you've already been forgiven for your sin, because you've gone to confession, at least in theory, but what it does is reduce the amount of time you have to spend in purgatory after you die to work off that sin," said Patrick Hornbeck, chair of the department of Theology at the University of Fordham in New York. "The way indulgences were originally conceived as is you do some kind of religious work. So you say a particular prayer, you go on pilgrimage to a particular place, you state a particular mass, or whatever that might be," said Hornbeck. "What's new about this announcement is the migration onto Twitter, and to say that's it's possible to follow these events in Brazil on World Youth Day through an electronic medium rather than going there yourself," said Hornbeck. The decree, issued by the Apostolic Penitentiary -- the Vatican office that deals with indulgences -- also asked priests around the world to make themselves available to hear confessions of those who want the Indulgence and to encourage public prayers for the success of World Youth Day. 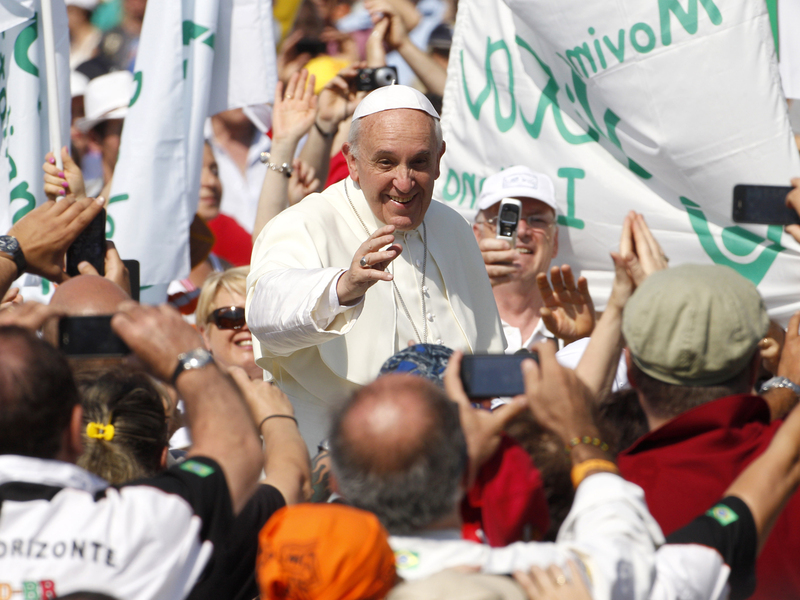 "This Pope has done a remarkable job of demonstrating how well aware he is of the way in which his younger audience, his younger followers, follow things and I think it totally makes sense that young Catholics would be much more likely to participate via social networking and social media rather than through traditional ways," said Hornbeck. The Pope has almost 2.7 million followers on Twitter.